Oh, Autumn! We’ve had an especially lovely one so far in Vancouver, haven’t we? Clearing the smoke and heat of summer with cool clean air, rich earthy tones and textures…Time to cozy up with sweaters and soups 😊. Traditional Chinese Medicine (TCM) considers the separate seasons in relation to several aspects of the human body: organ system, sense organ, taste, emotion, tissue. Autumn corresponds to Lung, Nose, Spicy, Sorrow, Skin. In a nutshell, this is a good time of year to nurture our lungs by…. For the purposes of this post, we will focus on Skin health and highlight a few ways to maintain or improve skin quality from the inside out, as well as from the outside in. The skin is often referred to as the “third lung” in that, like our lungs, our skin is an interface between the external environment and internal elements of the body, it facilitates the exchange of gases and molecules, and is delicate, yet durable too. As a generalization: strong supple lungs lead to soft supple skin. We’ve all enjoyed the bright glow on our faces after a brisk hike through fresh forest, or post yoga and pranayama practice? Breathing fully is the key to a great complexion. There are so many techniques and philosophies on breath, and definitely something for everyone and every moment. For instance: diaphragmatic/belly, lateral/Pilates, alternate nostril, 4-7-8, visualizing/counting, etc. The main point is to get air into our lungs. Sounds obvious, perhaps patronizing, yes. But how many of us have noticed we hold our breath while working, thinking, focusing, stressing? Breathing is an autonomic function, luckily! Still, we can help out our bodies and minds by being more deliberate in the inhale/exhale phenomenon that keeps them alive and alert. Another way to improve skin quality is to manually increase blood circulation and oxygen delivery to the dermal layer itself, through massage, acupuncture, cupping, or injection procedures such as Carboxytherapy. Various techniques to make the skin red and warm essentially bathes the area with oxygenated blood, nutrients, and repair proteins, while sweeping away metabolic waste and residues. Not only is this helpful for beautiful faces, but also for active bodies, ie. muscles, fascia, joints. These are some of the great (and opposite 😋) reasons why Kim Kardashian and Michael Phelps both love cupping for their bodies! 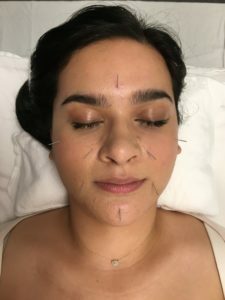 Cosmetic/Facial acupuncture uses specially designed thin gauge pins for the purpose of poking tiny micro punctures in the dermis, or threading them into creases and folds. This treatment sets off a localized inflammatory response, thus filling them out with enzymes, plasma and anti-aging growth factors. 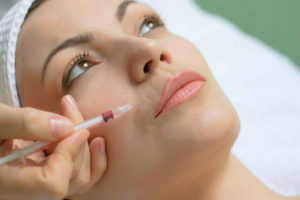 Carboxytherapy involves injecting small amounts of CO2 gas (again, super fine needles) just below the skin’s surface, which in turn causes the body to increase oxygen concentration, as well as new blood vessel production, to the treated area. This results in ongoing and longer lasting effects than physical stimulation, and as cells are able to regenerate with better blood supply, collagen and elastin can operate properly to address crepey skin, fine lines, wrinkles, and dark circles created by their lack. For decades, Carboxytherapy has also been widely used around the world to reduce cellulite/localized fatty deposits, scars, and stretchmarks. To sum it up: whatever your skin needs are this Autumn, know that it’s literally in you to revitalize and rejuvenate whenever, wherever (lungs + breath)……And with a little help from your friends at Reformotiv, you’ll fall in love with your skin all over again! Happy Autumn! Call us, check out our website, or click the link below to book any of the above treatments with me. ‘Tis the season! What workshops would you like to see at Reformotiv?